The state budget for the year that begins July 1 would not allow any tax dollars to go to Planned Parenthood. 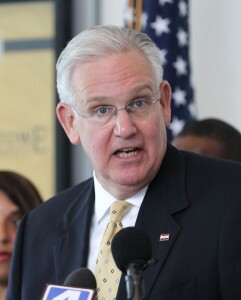 Governor Jay Nixon (D) has signed that budget into law, but says he’s still reviewing that part. “I’m concerned about its potential to reduce access to women’s health services while spending an additional $8-million in state General Revenue – dollars that could have gone to our schools,” said Nixon. The Republican-controlled legislature used $8-million General Revenue dollars to offset federal money that is legally required to, in part, go to Planned Parenthood. Republican budget makers said many Missourians don’t want tax dollars going to abortion providers. “We will continue to analyze the legal ramifications of this language and work to ensure that we continue to provide access to essential health services,” Nixon told reporters.